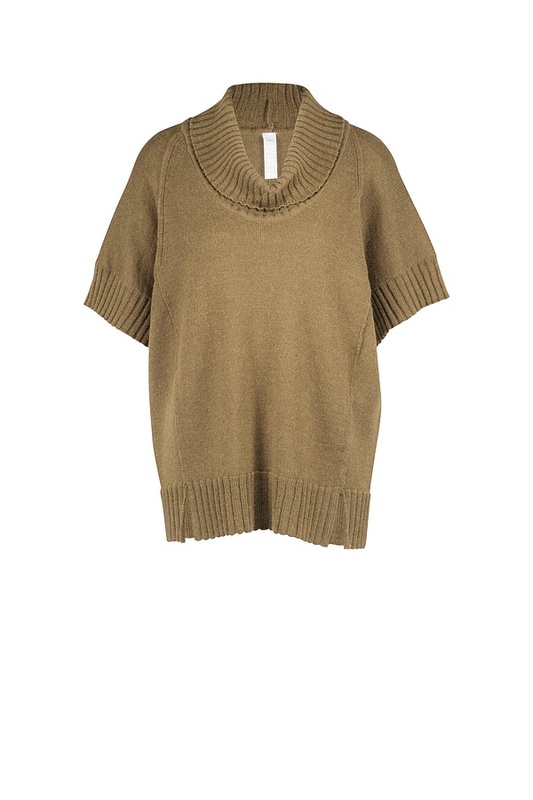 Casual femininity distinguishes this ISCHIKO pullover. It has a beautiful length and pleasant width and is a wonderful layering piece. 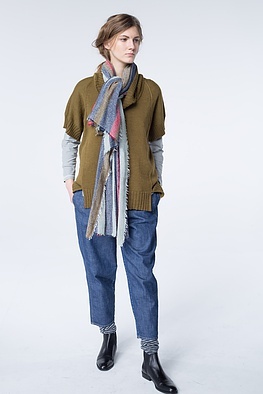 Both narrow and wide-cut trousers look great with it - try different styling variations. This sweater gets its unique look from a large, soft and wide falling turtleneck collar and shortened sleeves. Sleeve cuffs, the collar and slit hem all show great appeal with attractive ribbed knitwear.